HOME DZINE Home DIY | What is veneer? 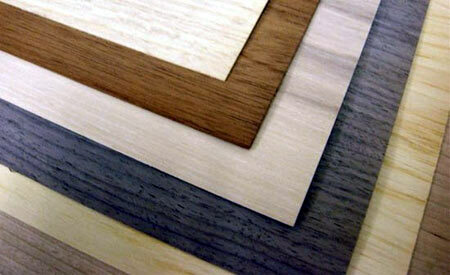 Many DIY enthusiasts often confuse the terms laminate and veneer. Veneers consists of thin section of various wood types, whereas laminate is the application of papers or plastics to the surface of board products or cheaper woods. A common decorative surface type used in the lamination industry is natural wood veneer. Veneers are available in a variety of wood species, both domestic and imported. It produces richly grained effects cheaply and is used also on structural parts that must be cut with the grain for strength. The grain pattern varies with the direction of the cut, woods cut across the grain in general displaying more effective patterns. Composite panels, like particleboard and supawood (MDF), are the preferred substrate for veneers due to their superior surface qualities of being flat, smooth, uniform, dense and free of knots and grain patterns. In addition, their dimensional stability, strength properties and cost advantages further increase the advantages of using these substrates. Veneers are thinly sliced between 0.51 to 1.0 mm and are available plain or with a paper or fleece backer that have varying degrees of flexibility. The backers provide stability and strength to the veneer and minimie splintering, cracking and checking. Veneered composite panel constructions are used in many applications including high quality furniture, case goods, store fixtures and cabinetry. Veneers can be overlaid either with heat activated resins or cold pressed (contact adhesive). The main resin used in hot press systems is a urea-based adhesive due to its ability to make the panel more rigid, faster processing parameters and lower cost base. Cold press systems typically use polyvinyl acetates, casein and contact adhesives. These systems are used for smaller production quantities and may be less rigid than heat activated resin systems.